Cheap web hosting has developed a bit of a negative reputation in the industry over the past few years. Sure, there are definitely companies selling cheap hosting services because they know their ability to cater to high-end users is limited. They might have outdated equipment, resell another provider’s services, offer limited customer support, and so on. These types of providers tend to be the exception, not the norm. The truth is that you’re probably going to have a similar experience with a cheap web host as you would a high-end service. This isn’t always the case, but you would be pleasantly surprised. Hosting technology is rapidly improving, which is allowing companies to buy their own industry-standard hardware without shelling out hundreds of thousands of pounds. Just ten years ago, selling £1 hosting packages would have been a surefire way to have a poor hosting experience with a poor performing website. Today however, there’s dozens of international hosting providers selling £1 hosting plans with thousands of satisfied customers. A cheap UK hosting provider is a great way to cut on costs while your business gets a stronger foothold in the modern online world. Cheap hosting is also a great ‘building block’ for your website. Start out with a small cheap hosting base, see if this specific company is right for you, and upgrade your package at a later time if needed. The worst that can happen is you lose a few pounds – assuming your entire business isn’t dependent on a cheap hosting provider. So, whether you plan on using a cheap United Kingdom hosting provider to test a new advertisement strategy, marketing approach, or just want to save a few pounds, use this comprehensive list of our top 25 cheapest UK hosting providers to help find the company right for you and your business. BestWebHosting.co.uk has been operating since 1999. The company maintains its own hardware inside a local UK data center, they do not resell their services. They also strongly support British charities. A free .co.uk domain name is given to users who purchase hosting plans at an annual rate. BestWebHosting’s cheap UK hosting plans also come with a free 256-bit SSL certificate, DDoS protection, SpamExperts protection, and Attracta SEO tools. We like BestWebHosting because of their unlimited hosting resources, free tools, self-owned infrastructure, and good prices. FastComet launched their cloud-based hosting solutions in 2013 after several years of successfully serving clients in the System Administration field. Their servers utilize Intel SSD drives and E5 processors with up to 32 GB RAM per node. It’s hard to find much wrong with 15 GB of fast storage and unmetered bandwidth for less than $3. FastComet’s SpeedUp package is also worth the price tag considering the number of freebies they throw in: Free domain privacy, LiteSpeed LSAPI, Memcached, Patchman, 30 daily backups, and a free GlobalSign private SSL certificate for life. If you’re located in the United Kingdom and are on a budget, check out FastComet, their customer reviews speak for themselves. Strong proponents of open source software, TMDhosting.com was founded in 2006. Since that time, TMD has expanded its presence across four continents, with data center locations including: Singapore, Sydney, Tokyo, Chicago, Phoenix, Amsterdam, and of course, London. Domain privacy protection costs $9.99 per year and Sitelock Basic costs $19.95 a year. TMDhosting also gives users a laundry list of free tools and resources to complement their unlimited hosting features. This cheap UK hosting provider maintains a 9 out of 10-star rating after 120 customer reviews through HostAdvice. Jolt.co.uk became its own UK hosting company in 2015 after a successful run as WebHostingBuzz’s UK branch. They rely on a Tier-4 data center located near Nottingham, which features Dual Xeon E5 processors backed by multiple 10 Gbps network connections. Aside from a free domain and SSL certificate, Jolt also gives customers free daily backups and free website migrations. Additional addons include: External site backups for £15 per year, Comodo Positive SSL’s for £5 per year, Comodo Essential SSL’s at £11, and Comodo Positive Wildcard SSL certificates for £55 annually. 2mHost was founded in 2001 by a small group of web developers. They maintain servers across 5 different countries – USA, Canada, UK, Australia, and the Netherlands. 2mHost claims to never oversell its servers and avoids useless upsells. 2mHost.com also includes free WhoIs privacy protection, a free Let’s Encrypt SSL certificate, and SSH and Git support. SpamExperts spam filter costs $1 a month under the Personal Plan and is included for free with the Personal x2 Plan. Adding room for extra websites is easy, and costs just $0.75 each month per addon domain. FastHosts.co.uk is a privately-owned company founded in 1999. They are headquartered in Gloucester, UK where they maintain servers in two sophisticated data centers. FastHosts’ shared hosting plans have operated on the CloudNX platform since 2016. FastHosts’ UK hosting plans also come with a free one-year domain registration, SSH access, and a £130 advertisement coupon. A free one-year SSL certificate is included with the Momentum plan. For an extra £1 per month you get access to a suite of tools designed to improve site and server performance. WebHosting.uk.com was established in 2001 and is based in Leeds. Unfortunately, they do not specify their data center locations, and also cater to resellers. A free domain is included with plans purchased at an annual rate. WebHosting.uk.com’s shared hosting plans also include a cloud-based cPanel and daily offsite backups. SSL certificates cost £24.99 a month while Spam Experts costs £0.75 per month. PickaWeb was founded by Tony Messer and Pilar Torres Wahlberg in 1999. All servers are housed in a London, UK data center. Their shared hosting plans use 10K SAS hard drives. PickaWeb’s basic hosting packages also include a free SSL certificate, cPanel, weekly hard drive backups, a premium spam filter, mobile website builder, and more. 25 GB in data backup and restoration costs £39.99 per year. Good prices, but the only problem we have with PickaWeb is the lack of free tools they include with the Budget plan when compared to other cheap UK hosting plans with similar price points. 123-reg.co.uk formed in 2000 and is based in Middlesex, England. Their reliable 10 Gbps network connections have allowed 123-reg to connect over 1 million websites to the internet. This budget-friendly UK web host has received numerous industry awards, which includes being named for offering the ‘Best Value Web Hosting’ by TechRadar in 2016 and 2017, in addition to being awarded the ‘Best Domain Name Registration Company’ accolade by Start Your Business magazine in 2015. While it’s great that 123-reg likes to give away free domain registrations, the freebie appears to be limited to United Kingdom domain extensions only. Professional Email hosting can be thrown in for £3 a month, a Site Seal badge sets you back £1.25 each month, and SiteLock Fix comes with a £2.50 monthly price tag. EasySpace is moderately well-known for their cheap UK hosting, and have been in business since 1997. Rather than reselling hosting resources or outsourcing, EasySpace has spent millions building their own infrastructure and network backbone, which consists of 10 United Kingdom data centers located in Glasgow, Manchester, Leicester, Maidenhead, Nottingham, and London. Each cheap United Kingdom hosting plan from EasySpace includes one free domain name, virus protection, a 21-day free trial for their email filter and data backup tools, 500 free email marketing credits, and a £75 Google AdWords coupon. GoMobi mobile website builder costs £4.50 a month. Hosting.co.uk opened its doors in Newark, England in 2012. They utilize an eco-friendly Tier 4+ data center located in the Midlands. They do offer resell services. cPanel, LAMP, and account migration are all included. Dedicated IP addresses cost £20 annually, Comodo Positive SSL’s cost £7.50 a year, Comodo Positive Wildcard SSL’s come with a £55 annual price tag, a 10 GB server backup costs £2 a month, while a 100 GB backup server costs £16 per month. While they offer good prices and features, a downside to using Hosting.co.uk is the fact you can only purchase plans at an annual rate, which isn’t exactly ideal if you’re simply looking do some short-term testing. iWebsterr has been operating as a cheap UK hosting provider since 2001. Other than this, iWebsterr unfortunately providers no additional background information. iWebsterr throws in a long list of free tools, including: advanced website statistics, a website builder, Google AdWords credit, branding tools, and a variety of developer features. Additional 2 GB mailboxes cost £0.50 a month, a Microsoft Exchange mailbox costs £13 per month, a mobile site builder costs £6 each month, and multiple domain mappings come with an annual cost of £25. Overall, their prices are great, but iWebsterr’s hosting plans, equipment, and even website are in need of an upgrade. A former web design company, UK-Cheapest.co.uk began offering hosting and domain services in 2002. Though they do use a UK-based data center, the facilities exact location is unclear. Their cheap United Kingdom hosting packages come with the Plesk 12 control panel and a free one-year SSL certificate if you purchase at an annual rate. While UK-Cheapest.co.uk’s prices are great, especially their value-filled Unlimited hosting plan, we were put off by the fact they charge for a basic website builder, which costs £1.99 to use on a single website and £2.99 for three websites each month. Automated data backups cost £0.99 per month. It appears LincWebHosting was formed in 2015 and is based in the UK, but other than this, not much company information is given. Their UK data center is located in Maidenhead, England. Ecommerce features are included with all hosting packages except the Basic plan. A personalized site certificate with a dedicated IP address costs £40 per year. A dedicated IP by itself comes with a £30 annual price tag. Overall, LincWebHosting does have good hosting prices, but the limited resources included with each plan make it difficult for anyone with multiple websites to even consider choosing LincWebHosting as their next cheap UK hosting provider. EcoHosting.co.uk is one of the first energy-efficient web hosting providers in the UK. Since their inception in 1999, EcoHosting has gained a positive reputation within the hosting industry, specifically for their excellent customer support. They also offer free hosting for local charities. EcoHosting.co.uk’s shared United Kingdom hosting plans come with cPanel, R1 backups, a number of analytical features, SSH access, smartphone control, and much more. An SSL certificate costs £9.99 but is included with the Unlimited plan, while Spam Experts, Cloud Defender, and Virus Scanning each cost £9.99 per year. Web10.net was founded in 2002 by the Talk Active APS group. Although they maintain servers in the United Kingdom, the company is headquartered in Denmark. Web10 also throws in a website builder, virus and spam filter, a free domain registration, and £40 in Google AdWords credit. Unfortunately, Web10 charges a £9 setup fee for each of their cheap UK hosting plans. And since resource addons are not available, those with large resource needs should check out their Advanced or Premium hosting plans. TsoHost is a well-established UK hosting company founded in 2003 as a member of the Paragon Internet Group. UK data center locations include London, Maidenhead, and Equinix, each with direct connections to the London Internet Exchange. TsoHost is also an ICANN-accredited domain registrar. SSL certificates start at £49.99 annually while the Ghost blogging platform costs £2.99 per month. A free domain is included with TsoHost’s Ultimate plan, but not with the Lite package. In the end, TsoHost offers a diverse set of low-cost UK hosting packages. Although their storage and email capabilities are up to par, we only wish TsoHost provided for bandwidth. UkCheapHosts.com has been providing cheap UK hosting solutions since 2006. UkCheapHosts utilizes RAID-protected SSD storage, an industrial level firewall, and provides free SSL certificates for life to all websites with no additional fees. Each budget-friendly United Kingdom hosting plan includes a free SSL certificate, cPanel control, and weekly backups. The Business Pack also includes a free .co.uk domain name. Sure, UkCheapHosts lives up to its name with ultra-low prices, but their storage and bandwidth capabilities are severely limited. Furthermore, the fact it costs £24 a year to throw on one extra GB of storage space and £75 for a dedicated IP address makes it even more difficult for the frugal-minded to turn to this specific UK hosting company. HostMedia.co.uk’s founders had six years of experience managing web hosting solutions before they officially launched HostMedia in 2008. Although they do offer resell services, they guarantee to never overstuff their servers. Their English data center is based in London. Each hosting plan comes with a free SSL certificate and free domain registration. HostMedia.co.uk offers various types of SSL certificates, prices range from £15 up to £990 per year. We think each HostMedia shared hosting plan comes with a ton of value, and we highly recommend considering the company. OnePoundWebHosting was founded in 2006 and is headquartered in Hampshire, United Kingdom. The company’s hosting equipment is housed at the Server House data center located in Fareham, Hampshire, England. Each OnePoundWebHosting package includes cPanel and daily hard drive backups. RapidSSL, Comodo, and Wildcard security certificates start at £12.50 per year, while dedicated IP addresses cost £12 per year. While OnePoundWebHosting’s equipment is not exactly up to date, this is one of the cheapest UK hosting providers in the industry, so they do deserve mentioning. HostRipples.co.uk, not to be confused with HostRipples.com, was established in 2013 as a division of SARPS Technologies LLC, which is based in Delaware, United States. The company maintains a near perfect 5-star rating on customer review sites like Serchen and ReviewCentre. HostRipples’ affordable shared hosting plans come with cPanel, spam filters, CloudFlare, free backups, and much more. Other than this, there’s not too much to say about HostRipples. They’re cheap, throw in several free hosting features, and allow for a virtually limitless amount of hosting resources, even if the storage is composed of standard HDD drives – this is a good bargain. Falcoda.co.uk has been selling affordable hosting, domain, and email services since 1996. It is unclear where the company is headquartered and stores its servers. Domain name registrations start at £5.99. Falcoda.co.uk also throws in £75 in free Google AdWords credit. Personalized SSL certificates cost £49.99 annually. Other than this, Falcoda doesn’t give much else worth mentioning. But at less than a single pound per month, Falcoda is one of the cheapest hosting providers on the planet, not just the United Kingdom. HostSo launched in 2004 and is based in the United States. Other than this, HostSo provides little to no company details. They offer reseller hosting services in addition to web and logo design packages. We like the significant amount of storage space HostSo gives you. With 200 GB you could potentially build a considerably large website, and for less than a single pound! No hosting plan addons are available. And while HostSo is a cheap hosting alternative, their customer reviews and ratings are very mixed – proceed with caution. X9Internet.com was established in the United Kingdom in 2000, after the company became an accredited Nominet member in 1999. Their cPanel websites currently have an uptime of 99.984%. X9Internet’s cheap United Kingdom hosting plans include free daily backups, an HTML5 Web Builder, over 200 Softaculous applications, FTP support, MagicSpam Pro and Spam Assassin, Leech protection, and more. If you’re purchasing hosting at an annual rate with a cost that exceeds £100, then payments are conveniently broken down into 10 equal installments. Premium Mailboxes cost £19.90 a year while standard SSL certificates come with a £39.90 annual price tag. 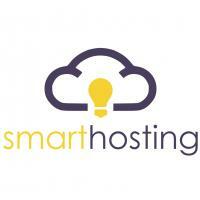 ForthHosting.co.uk is a Scottish company founded by a group of IT professionals based near Edinburgh, Scotland. They offer unlimited hosting packages priced at an annual rate, with .co.uk domain extensions costing only £4.50 per year. ForthHosting only accepts PayPal payments. ForthHosting uses the eXtend 2.0 control panel, which allows users to access their accounts through their iPhone or Android device. They offer Site Designer Plus and Pro, the company’s own web design software, which costs £6.99 and £9.95 per month, respectively. GoMobi Website Builder costs £4.99 a month, SSL certificates cost £54.95 per year, a Premium Mailbox costs £8.95 each year, and domain privacy protection costs £6.95 per year. 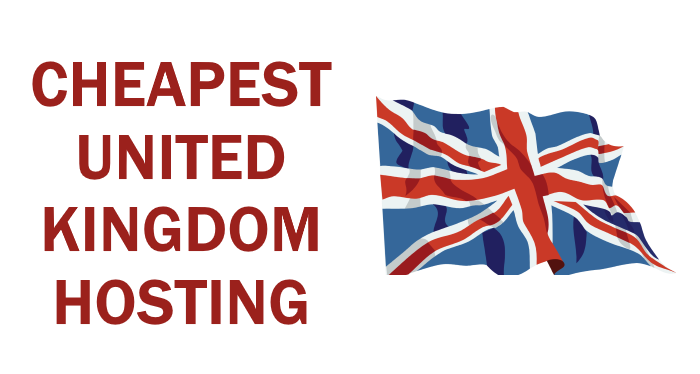 Even though ForthHosting does not have the most positive reviews from customers, they still stand out as the single cheapest United Kingdom hosting provider on the web.